King of the Tasman Grand Final weekend is here. Friday night sees [NAU] and [1AN-E] play off to decide 3rd and 4th place. 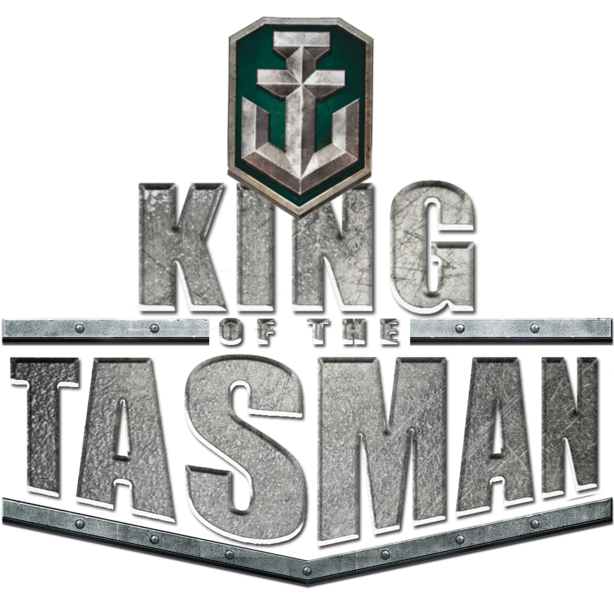 Commencing at 8:30PM AEST you can watch the stream at the official King of the Tasman Twitch Channel on a 5 minute delay. Saturday night sees the clash of the top seeds with [AUSNZ] taking on [1NATN] for the title of inaugural King of the Tasman. You can see all the action from 8:30PM AEST. Both matches will be a best of three contest. If you're an Australian or New Zealand clan interested in participating in the next season, register your interest at the competition Discord. Prizes in season one included doubloons and steel so be sure to get involved as season 2 is shaping up to be bigger and better! And ANZ commanders, please do not hesitate to register for the next tournament! Yeap. Good luck guys. I'll be sitting back watching this for sure. Some boats were stopped! GG to AUSNZ, was great fun and more than a little stressful! Thanks to all involved in setting up the tournament. It's nice to have something competitive for our region that isnt in a ridiculous time slot. It was great to see the standard of play drastically improve as the tour ament went on. It was a good show last night and I hope it inspired more ANZ clans to get on board. Well done to all involved.